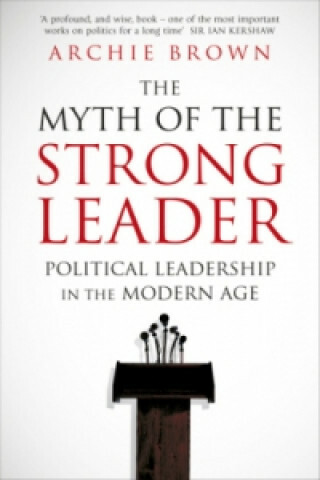 In this magisterial and wide-ranging survey of political leadership over the past hundred years, Archie Brown challenges the widespread belief that strong leaders - those who dominate their colleagues and the policy-making process - are the most successful and admirable. Within authoritarian regimes, a more collective leadership is a lesser evil compared with personal dictatorship where cultivation of the myth of the strong leader is often a prelude to oppression and carnage. Within democracies, although 'strong leaders' are seldom as strong or independent as they purport to be, the idea that one person is entitled to take the big decisions is dangerous nonetheless, and the advantages of a collegial style of leadership are too often overlooked. In reality, only a minority of political leaders make a big difference, by challenging assumptions about the politically possible or setting in motion systemic change. Yet in a democracy that is rare. It is especially when enlightened leaders acquire power in an authoritarian system that the opportunity for radical transformation occurs. Franklin D. Roosevelt and Lyndon B. Johnson, Willy Brandt and Mikhail Gorbachev, Deng Xiaoping and Nelson Mandela, Margaret Thatcher and Tony Blair are among the leaders whom Brown examines in this original and illuminating study.